David recognises the pivotal role of Economics in all of our daily lives and it is his aim to make the ‘dismal science’ as captivating and accessible as possible. David writes a weekly column for The Irish Times, and he also regularly contributes to a variety of other publications including The Financial Times and Woodford Investment Management. When it comes to celebrating the Republic – 70 years old this weekend – the most significant socio-economic achievement of the State has been the gradual but relentless expansion of the Irish middle class. It might be deeply unfashionable to champion the growth of the civic bourgeoisie, but the expansion of the middle class is a profoundly positive accolade. In contrast to many western countries that are seeing their middle classes shrink, the data tell us something we know already when we compare our lives with our parents’ lives and their parents’ lives: Ireland’s bourgeoisie is in rude health. For over fifteen years David has hosted his own award winning current affairs shows on Irish TV and Radio and is a regular guest on BBC, CNN, ABC and CNBC. His ability to communicate economics, finance and geo-politics in an accessible manner brings an urgent vibrancy to what can sometimes be pretty dull proceedings! David believes that a TV studio discussion should be like a good pub conversation, witty, combative, topical and serious, without taking itself too seriously. David has been teaching all his life. He is currently Adjunct Professor at Trinity College Dublin in Global Economics. He believes that economics should be as accessible, digestible and understandable as possible. It is too important to be left to academia alone and he firmly advocates that there should be no barriers excluding people form learning. To help this vision become a reality David teaches an online Economics academy called ‘Economics Without Boundaries’ which educates hundreds students from all around the world. David is an award-winning documentary maker and has travelled the world making documentaries on subjects including the global financial crisis, populism, Brexit, the world economy and the housing market. His style is breezy and chatty defined by the simple observation that “what is important is rarely complicated and what is complicated is rarely important”. Making these programmes he has interviewed some of the most influential thinkers in economics, business and politics. Starting out as genuflection to David’s love of punk music, Punk Economics is a brilliant animation series explaining the world’s economic dilemmas using cartoons and which has now amassed over 1 million views on YouTube. David is also partnering with the Financial Times to make the highly successful Punk FT series. Many finance companies have commissioned bespoke economics cartoons to get their message out to their clients. As well as participating in many festivals around the world David runs two festivals in Ireland. The Dalkey Book Festival, Ireland’s fastest growing literary festival, every June www.dalkeybookfestival.org and Kilkenomics every November, which is the world’s only Economics and Comedy Festival www.kilkenomics.com. David has written four bestsellers and one of these -The Pope’s Children – is the best selling nonfiction ever published in Ireland. His writing style is described by Bloomberg’s head of economics Stephanie Flanders, as having “a great knack for bringing a complex economics story to life. He is also funny. In economics, that’s a rare and persuasive combination.” He is currently working on a new book and hopes to publish in late 2018. David McWilliams is an economist, author, journalist, documentary-maker and broadcaster. He is Adjunct Professor of Global Economics at the School of Business Trinity College Dublin. David is ranked 10th most influential economist in the world. He has devoted his entire professional life to the objective of making economics as widely available and easily understandable on as many platforms and to as many people as possible –and is having a laugh doing it. As a result, he co-founded the world’s only economics and stand-up comedy festival Kilkenomics – described by the FT as “simply, the best economics conference in the world”. 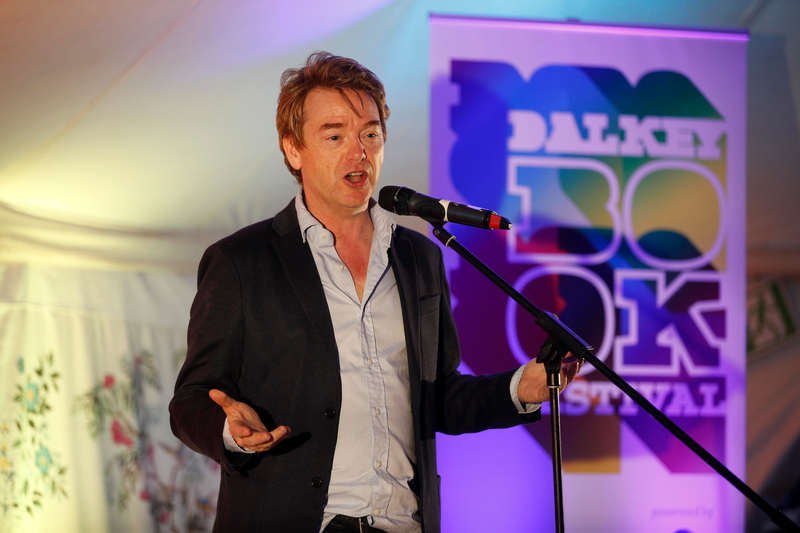 He also founded Ireland’s leading literary and ideas shindig, the Dalkey Book Festival. In the money world, David advises Neil Woodford of the Woodford Funds with £16 billion under management. The WEF at Davos debased their currency profoundly by making him a Young Global Leader a few years back! This course is a fascinating collection of information, ideas and dynamic animations, which will help you understand not just what is happening in the world economy right now, but why it is happening. This course takes a completely novel approach – one you will not see anywhere else – that makes your educational experience more like watching a lively documentary than sitting in a dry classroom. We really believe that, when it comes to understanding our world through economics, what is important is rarely complicated and what’s complicated is rarely important. David McWilliams is ranked the 10th most influential economist in the world and as such is a regular on the international speaking circuit. In Ireland he is known as the first economist to identify the Irish boom as nothing more than a credit bubble, warning of its collapse and the consequences for the country. Internationally, he has a reputation as a brilliant public speaker. David brings economics to life and makes it relevant and understandable to the widest audiences. He is a Young Global Leader with the World Economic Forum, is a regular contributor to Google’s famed Zeitgeist conference and has been named Ireland’s most influential Twitter user. With the objective to make economics easily digestible and fun, McWilliams draws on his unique sense of humour when he travels the globe speaking on trends in growth, currencies, financial markets and geo-politics. David’s presentation was perfectly pitched and brought exactly what we had hoped…delivered with wit and intelligence in an engaging and entertaining style. David’s speech was fantastic and very well received by the audience. Many thanks to you and your team for assisting us in organising this wonderful conference. The feedback was extremely positive. It is a real skill/ art form to speak without any prompts for over an hour in such an engaging way so please send David on our thanks for his contribution. It’s that time of the year again when we are deep in the organisation phase of the Dalkey Book Festival. We have now announced the line up which we hope you agree is definitely one of our best yet! But every year is the best, we are spoiled for choice with all the amazing thinkers that come visit us. Recently I was on RTE’s Ray Darcy Show to discuss the Irish property market among other things.